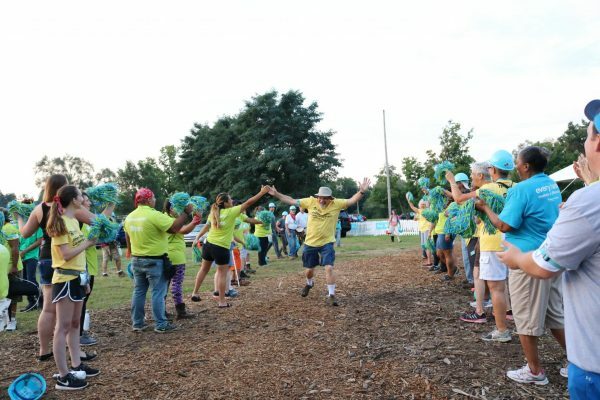 Day two of the build brought in hundreds of new volunteers as well as hundreds of returning volunteers. The energy was contagious and everyone was excited to take on another day. The morning began with sponsor speakers William Carson from US Bank, Clay Clement from Lowe’s and a morning devotion from future homeowner Allen Williams. Progress for each house continued throughout the site. 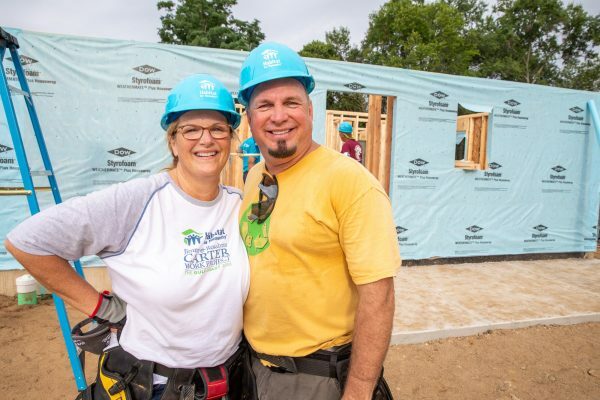 Volunteers worked together to build and set the exterior and interior walls for the single-story homes. 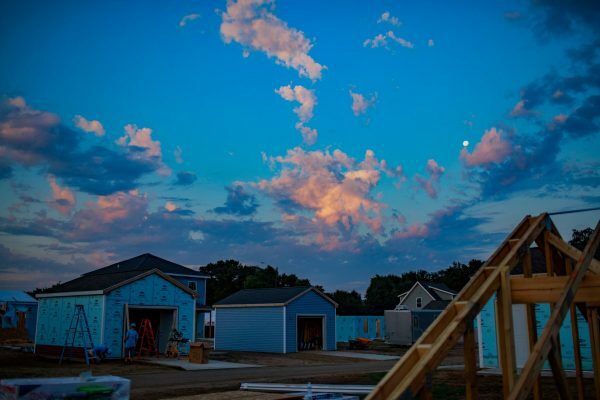 All roofs were shingled and ready to be placed onto the homes on Wednesday. 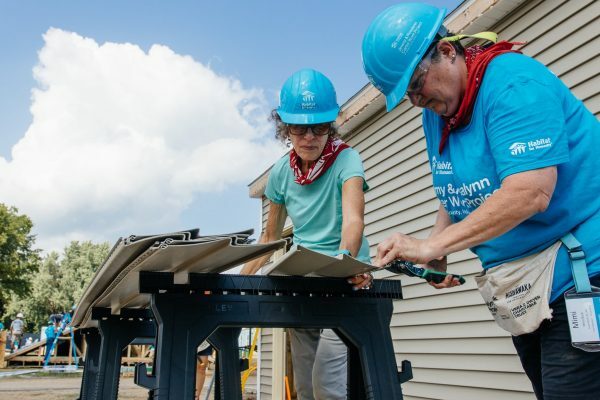 Volunteers installed cabinets, doors, window hoops and worked on exterior siding on the nine two-story homes. 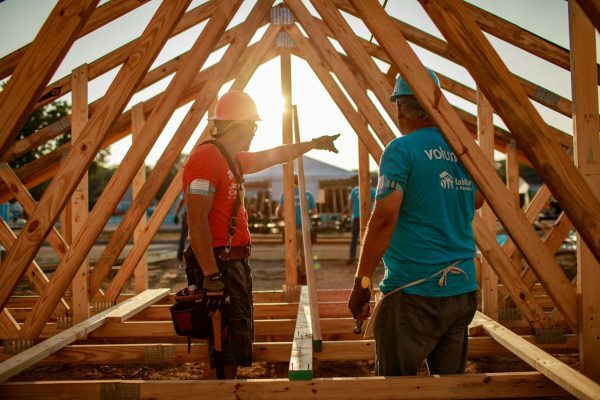 Due to an impending weather forecast, and the need to have roofs ready to install by Wednesday, volunteers gladly stayed late on Tuesday after an already long day to help ensure every shingle, nail and detail was in place and ready to go for Wednesday. 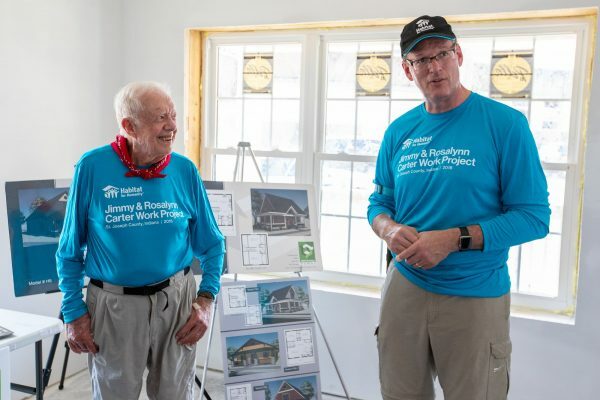 Former President Jimmy Carter and his wife Rosalynn took a tour of Shetterley Triangle, the site where 5 “net-zero energy” homes are being built in South bend as a part of the Carter Work Project. On Tuesday evening volunteers were invited to a special evening event as a thank you for all of their hard work. Volunteers were able to indulge in fancy desserts while listening to local favorite band, The Whistle Pigs.